Thing 2: Special is lonely. Special is boring! Thing 2: I work hard and try to bring my best self forward, but so do lots of others. 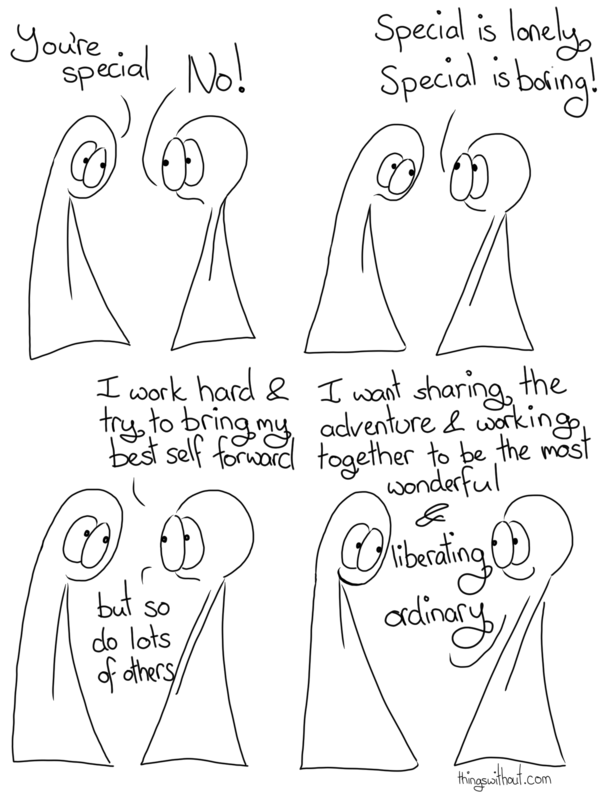 Thing 2: I want sharing the adventure and working together to be the most wonderful and liberating ordinary.